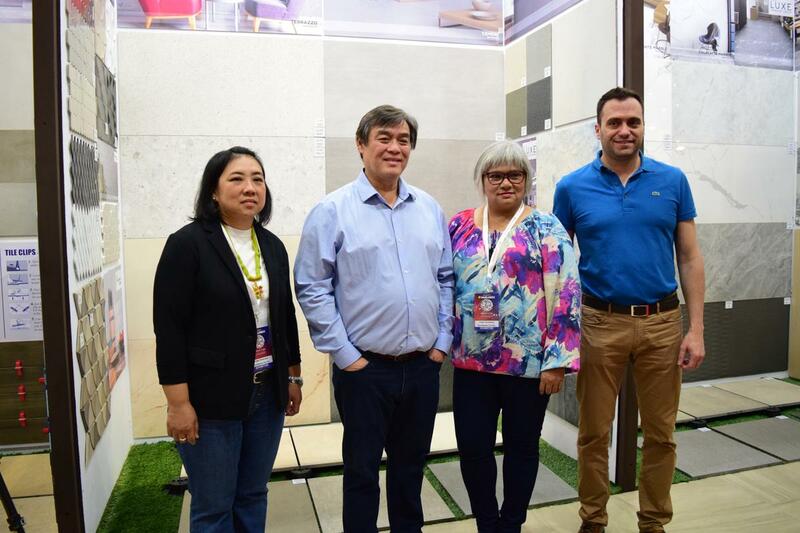 Cebu Oversea Hardware Co., Inc. (COHCI), one of the biggest hardware construction and finishing material suppliers in the country, showcased its latest tile collection and intelligent toilets at the 2019 WORLDBEX from March 14-17 at the World Trade Center in Pasay City. CW Home Depot (Manila), Cebu Home and Builders Centre (Cebu) and Living N’ Style (Manila), COHCI’s retail channels have been the home of premium Tile and Bath brands offering an extensive product portfolio. 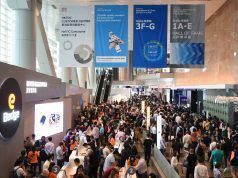 For almost six decades now, it has been addressing various interior design and home improvement needs from full system bathroom fixture, plumbing products, bulbs and lighting fixture, kitchen fixture, Spanish and ASEAN tiles, as well as other various finishing products. 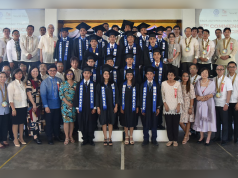 One of the highlighted products was the BALDOCER big size porcelain tiles and EL MOLINO family heritage tiles and its own LUXE premium tile collection. The company’s own in house LUXE brand is the end product of collaboration with Italian designers and selected Asian factories to develop top-quality, artistic tiles. CAPUCINO, and STUDIO are also exclusive brand collection featuring a wide range of simple and minimalist designs that capture the preservation of human space—be it for home or commercial use. Available in various sized, the tiles feature ASEAN/EUROPEAN inspired patterns so customers can experience the regional atmosphere at the comfort of their home. 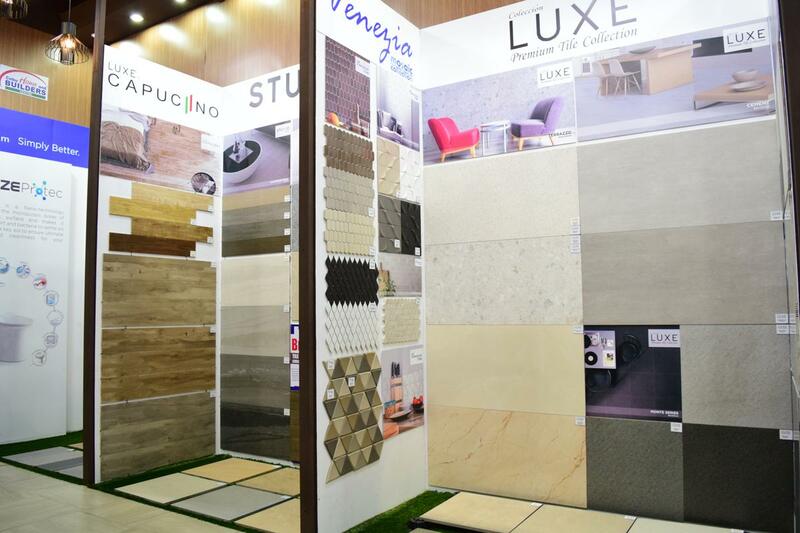 COHCI WORLDBEX exhibit also features a collection of tiles from a range of other premium brands they carry, namely Argenta, Alaplana, and Cicogres. The collection highlights floor and wall tiles with Spanish designs, and comes in various tile sizes. 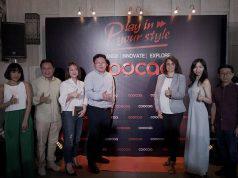 Housing one of the upcoming brands in the Philippines bath fixture industry, COHCI also launched COOL Bath System’s new generation of intelligent toilets and bathroom products for 2019. 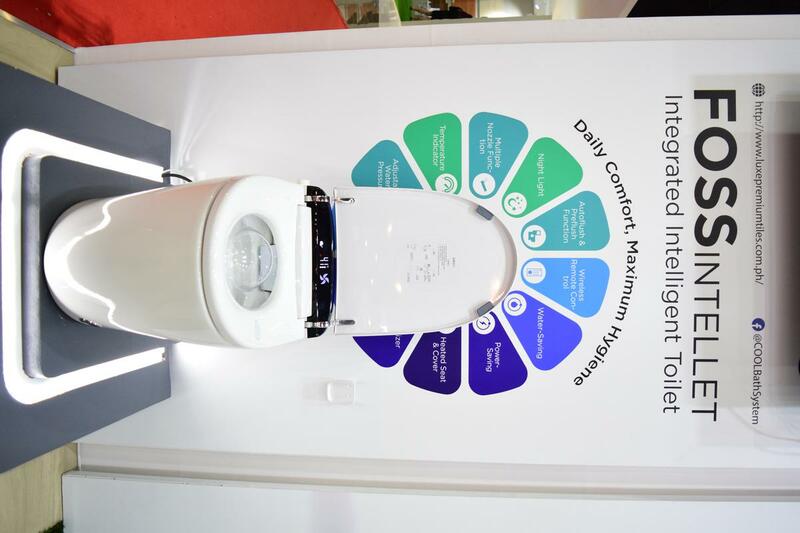 These products belong to COOL Bath System’s Integrated Intelligent Toilet innovation (INTELLET), which is driven by a strong brand promise of delivering a better bathroom experience. 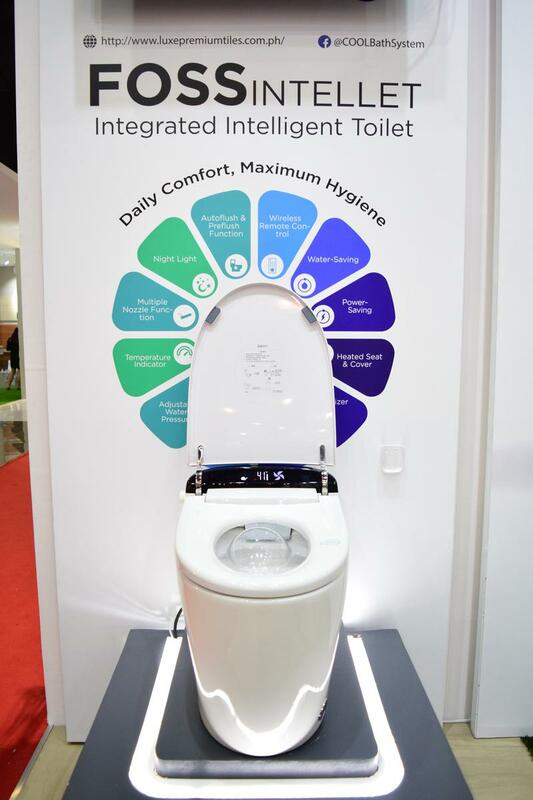 The Foss and Newton INTELLET intelligent toilets are equipped with auto flush and pre-flush smart features, wireless remote control, heated seat and cover and deodorizer. The product exhibit also highlights COOL Bath System’s GlazeProtec toilet series featuring Nano- technology, which seals the microscopic pores of ceramic surface to prevent dirt and bacteria from settling in. 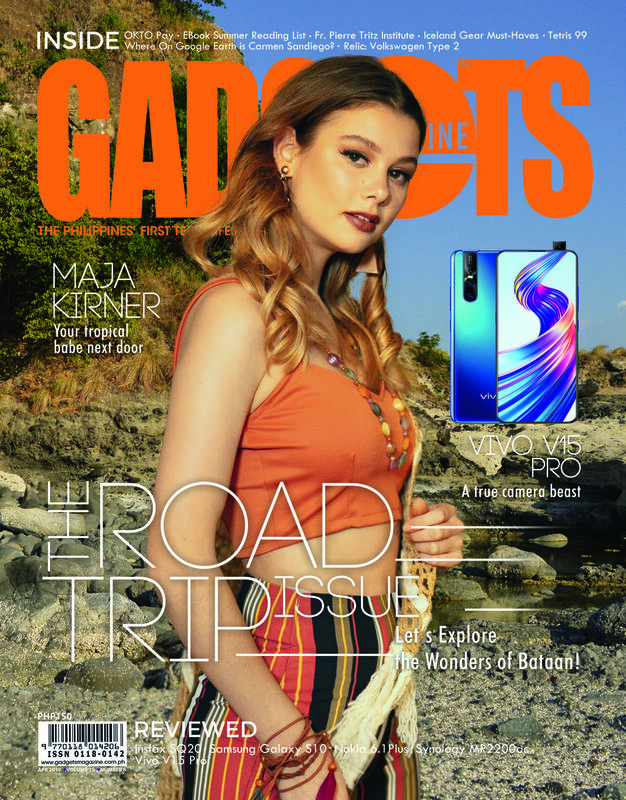 The GlazeProtec has four design variants, namely Ballano, Luxe, Impress and Glam. Learn more about Cebu Oversea Hardware premium brands at www.luxepremiumtiles.com.ph.